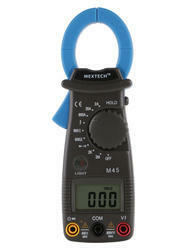 We offer an instrumental range of products made using high quality digital clamp meter. Our entire range is procured from the renowned vendors of the industry, who manufacture them in compliance with the industry standards. We source these products from the leading vendors after ensuring their quality. 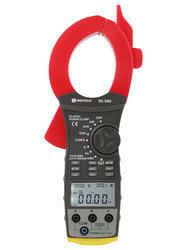 We put forward Digital Clamp Meter DT3600, which are manufactured in compliance with the industry standards. These are procured from the reliable vendors and manufacturers based in various parts of India. Our screws are manufactured in compliance at the vendors' facility using graded alloys. Further, our clients can avail these quality products at market leading prices. Carrying case, Temperature probe, test leads, Operational Manual. 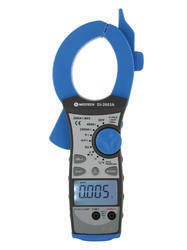 Digital Clamp Meter DT2003A offered by us are in line with the requirements of the clients from various industries. These are manufactured using quality material to withstand the rugged applications. Further, these are procured in bulk from the vendors, which ensures the clients can place order at anytime of the year and we will be able to fulfill the requirements. Our clients can avail these quality and durable screws at market leading prices. This is a 3¾ Digit 600A AC Clamp Meter with AC/Dc Voltage, Resistance, Frequency, Capacitance etc. Display : 3¾ Digits with 3999 Count With Backlight & Torch. Accessories : Instruction Manual, 1 pc 9V Battery, 1Set Test lead, Carrying Pouch. This is a 3¾ Digit 600A AC DC True RMS Clamp Meter with AC/Dc Voltage, Resistance, Frequency, Capacitance etc. 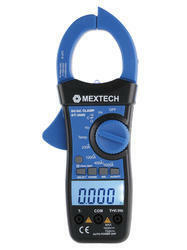 We are offering wide range of Digital AC Clamp Meter. 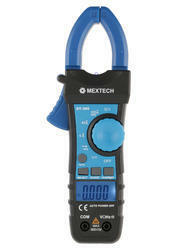 This meter is used for measuring AC current in diverse electrical devices like pumps and transformers. Under the proper direction of our experts, this meter is manufactured using fine quality materials with the help of modern technology. Our prestigious clients can avail this meter from us at the most reasonable rates. This is a 3½ Digits 1000Amp. AC Clamp Meter with AC/DC Voltage, Resistance etc. · Display: 3½ Digits with 1999 Counts. · Clamp Jaw Opening : 51mm. · Accessories: Instruction Manual, 1 Set Test Leads, 9 Volt Batteries, Carrying Cover. 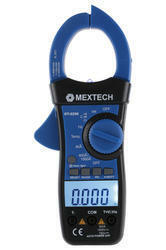 We are engaged in trading of Digital Clamp Meter DT2250, which can be availed at market leading prices. These are manufactured in compliance with the industry standards to ensure these are compatible with various industry applications. Further, for our valuable clients, we ensure all the screws offered by us are in accordance with the specific details provided. Accessories : Instruction 1pc, 9V Battery, Temperature Probe, 1Set Test lead, Carrying Cover. This is a 3 ½ digits AC Clamp Meter AC Amp with AC DC Voltage , Resistance etc. · Display : 3 ½ digits With 1999 Counts. · Data Hold Function for all Ranges. · Operating Temperature Humidity : 0°C To 50°C, < 80% RH. · Clamp Jaw Opening Size : 26 mm. · Accessories: Instruction Manual 1set Test Lead, 2pcs 1.5V AAA Size Battery. Frequency: 20 Hz ~ 100 Hz. Single-phase two-wire measurement Single-phase 2-wire. Three-phase three-wire measuring 3-phase 3-wire. Three-phase four-wire measuring 3-phase 4-wire. Dimensions: 283 × 112 × 39mm.. Weight about 610g (Including battery). 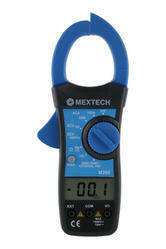 We are offering a wide range of Digital AC and DC Leakage Clamp Meter. Our expert technicians manufacture these meters using the best quality components procured from the most reliable vendors of the market. 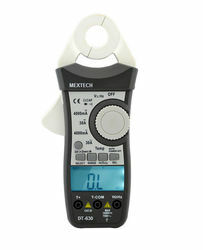 These meters are used to calculate current and voltage ratios for electric equipments. Our clients can avail these meters from us at reasonable price with customized specifications.